Jerri Lee specializes in nature photography, but she also loves photographing people enjoying life in the high country. You can usually find her hiking with a camera slung over a hip in the meadows, mountains, and valleys around Mt. Lassen. She was born an artist. Her depth of knowledge about storytelling and movement grew out of her training in classical ballet, jazz, modern dance, and character dances from around the world. You can also feel the inspiration she gained from her study of the greats outside of photography: writers, painters, sculptors, and musicians. This background provides a unique perspective when Jerri Lee composes and finishes her art. Her work is never static and it always tells a story. After earning a Bachelor of Fine Arts and Master of Business Administration from the University of Utah, she continues to be a perpetual student of all related, and unrelated, subject matters. Jerri Lee is a Certified Professional Photographer by the Professional Photographers of America. 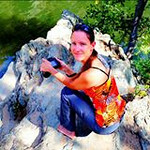 She is a member of Plumas Arts, the Feather River Fine Arts Association, and Professional Photographers of America. She won several People's Choice awards in 2016 for her photography from the Feather River College's Ansel Adams Photography Contest. In addition, two of her photographs were accepted by the Professional Photographers of America association into their General Loan Collection in 2016 and 2017. She is a certified Project Management Professional and is currently working on her Stanford Certificate in Innovation and Entrepreneurship. She does contract work for the Almanor Recreation & Park District (ARPD) and occasionally contributes to the Plumas County News / Chester Progressive newspaper and Plumas County Visitors Guide. Her work was previously displayed at the Seneca Healthcare District clinic at Lake Almanor and at Thrive Fitness Studio in Bailey Creek. It can currently be viewed at two Banner Health facilities in Susanville where she completed full artwork installations - the Banner Health Clinic on Paul Bunyan Rd and the Physical Therapy Clinic on Riverside Dr. She has artwork displayed in homes and offices around the world, and her work is on display locally at the Blue Goose Gallery in Chester / Lake Almanor. Jerri Lee also does Senior and Family portrait sessions, along with special events. Please contact her for samples of her portfolio in these areas.